As I sit here I am looking up at 5 extremely tall palm trees blowing in the wind in Tijuana Mexico. I didn’t realize palm trees could grow so tall, so I did some research on Google. 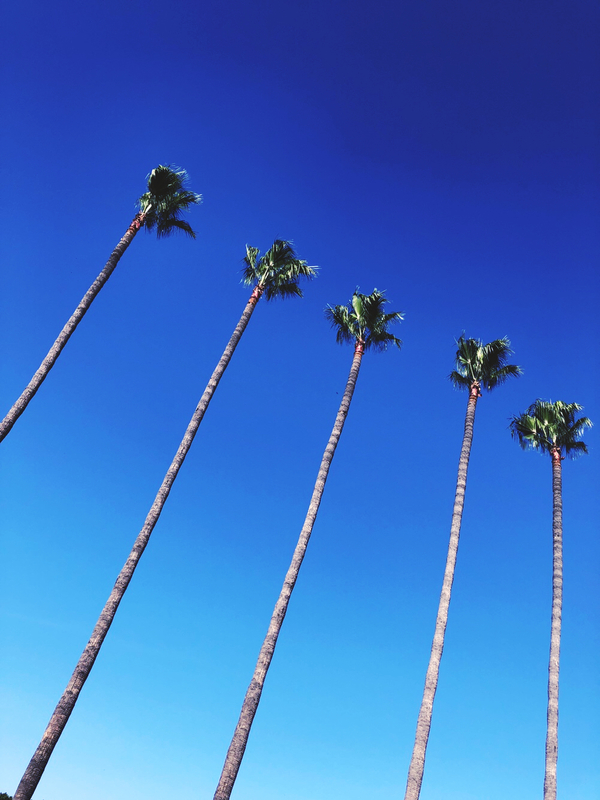 I was surprised to learn that there are over 2,500 species of palm trees, the tallest of which can grow as tall as 197 feet tall! I read a book under the cabana by the pool this morning, and it asked some thought provoking questions. One of the questions was what do I believe about being an entrepreneur? As I pondered with my journal on this question and began to write, my response prompted me to write this blog post. We all have the option of a blank canvas in life where we can paint whatever it is that we want. We can use whatever type of paint we choose, we have endless options of tools and brushes we can use, or we can just use our hands. We can pick any color, combination of colors, or even mix colors if we want. We can also choose the finish, whether we want it glossy, semi glossy or matte. Whatever we want, we can do. But is that the reality for most people that you know? No… it isn’t. Most people’s canvas has other people’s paint all over it. The paint their parents put on there with their expectations of what they should be when they grew up. The paint their school teachers put on there when they pointed out their weaknesses instead of encouraging their strengths and creativity. The paint from other people that told them what they could and couldn’t do in life, and those that reminded them to just be “realistic.“ The paint of other people’s expectations of them, and the paint of what other people said they could and couldn’t do in their lives. The canvas of your life right now… why is it how it is? Is it even your paint on your canvas? Or is it everyone else’s paint? What is your painting becoming? What will the finish be? Will it be a unique and original piece or just a copy of most everyone else’s paintings? Life has limitless possibilities. Palm trees have roots. They cannot move on their own. But you and I are not trees. We can move. We can create. We can use the uniqueness, the gifts and the talents that God gave us to make something beautiful, something that inspires us. Have you ever wondered why some of the most “successful” people in the world that we recognize as massively successful work more hours than those at a typical job? If they have all the time and financial freedom from their success, why do they work so much? It’s because they are inspired! They love what they do, they love what they get to create every single day. That’s why. They are excited about their canvas and what they are painting. I decided a decade ago that I wanted to live life on my own terms. I wanted to paint my own canvas. And I wanted it to be my paint, my colors, my tools, and my unique finish. Who taught you that you didn’t deserve to paint your own canvas? Who told you that you are selfish if you choose your own colors? That you are extremely unrealistic to think for a moment you could only use the tools that you wanted to use versus the tools that everyone else told you that you had to? You see, our beliefs shape our thoughts and our attitudes and our expectations (our beliefs on what our canvas can look like), which dictate what we do and how we do what we do (how we paint), which dictates the colors we use or don’t use (other peoples paint or our own), which ultimately determines what our life painting looks like and the finish is like (how our life is and ends up). If my post today hits you like it is designed to, I ask you to take a moment, grab a journal or a sheet of paper and a pen, and take inventory of your beliefs about your life, what it could be, what it should be, and what it will be. But first take inventory on why it is how it is, this very moment. Be honest with yourself. There is something inside of you that yearns for more. We were designed and created to be unique, but we spend most of our life just trying to fit in and do what everyone else does, and trying to just get a little bit further ahead each day. Life wasn’t designed to be like that. That’s not inspiring. That’s not exciting. It’s monotonous, average, and depressing. Who told you that you had to work about 40 hours a week? What makes them correct about that? And who came up with that? And why 40? Who told you that you can expect to retire at age 65? Why? What makes them right? Who told you what you can’t do, and how the heck do they know that? Everyone is trying to paint on your canvas. Enough of that. Paint your own. And I can’t wait to see what it looks like. It will be a unique masterpiece.